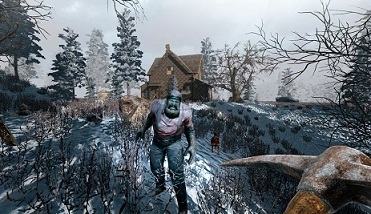 In 7 Days to Die, you can craft and set traps to ensure your survival, because at night the zombies are aggressive. In our guide, we show you which traps are best and how you can craft them. In the world of 7 Days to Die, there are two ways to get traps / land mines: either you find them on your plundering and zombies as prey or craft them yourself. For this, you need a variety of resources and which are partly not easy to get. We show you how you can craft traps without using cheats. Below you can find resources that you need in order to produce traps. - Fallen wood spikes can damage the most enemies, they paralyze and even kill (upgradeable). - A mine consisting of a candy tin. - A primitive pressure plate of scrap iron and gunpowder. Good to hinder or kill most enemies. - A mine consisting of a car fan. - A mine consisting of a car wheel cover. - Barbed wire of wrought iron can slow down opponents. In 7 Days to Die, you have to set traps as many as possible to keep zombies away from your accommodation, so you must place them tactically. In addition, you have to be careful that you don’t walk into your own traps. Here we will show you some useful tips on how you can set up traps in 7 Days to Die. - Wooden spikes: This can be improved, which is why you should take the opportunity. On the first night in 7 Days to Die, it is enough if you set up several rows of these. Later you can a moat around your accommodation around and place spikes and pressure plate mines therein. - Mines: Since these traps need rare resources to be made, they should be attached as a hedge behind the spikes. If you succeed then zombies can’t break through the wooden spikes, they are occasionally hunted by mines in the air. Especially PvP mines are quite good, because they are easier to overlook than wooden spikes. Try to place the pressure plate mines directly behind the front door. - Barbed wire and barbed wire fence: These traps allow you to "catch" zombies in it and therefore easier to kill them.